Gite CAP de BOUÉOU is a vacation rental near Marciac (Gers) in the famed Gascony region of south west France. This ideal place for a holiday in the gentle soothing gascon countryside is close to walking paths, cycling, golf, horse riding, fishing and music festivals of international renown (Jazz in Marciac, Country Music Festival in Mirande , Tempo Latino in Vic-Fezensac, and classical music concerts in the church of Tillac). Enjoy the rolling countryside of Gascony, its fields of sunflowers, its small villages and markets, its producers of foie gras, Madiran, Pacherenc, and Armagnac, its quiet roads and plenty of sun to create unforgettable holidays. * new bedding, duvets and pillows. * the owner is fluent in English. Enjoy the Jazz festival this summer! New bedding, duvets and pillows. The 41st edition of the Jazz in Marciac festival runs from July 27 to August 15, 2018. This year's memorable program includes some of the finest jazz musicians in the world including Marcus Miller, Gregory Porter, Melady Gardot, Stacey Kent, Lisa Simone, Santana & Joan Baez. 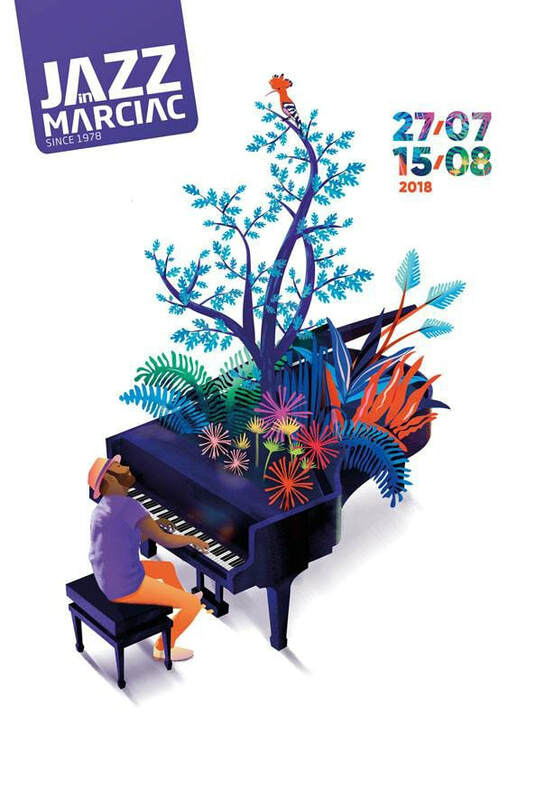 Enjoy the Jazz in Marciac festival this summer! "Charm inside, tranquility on the outside."